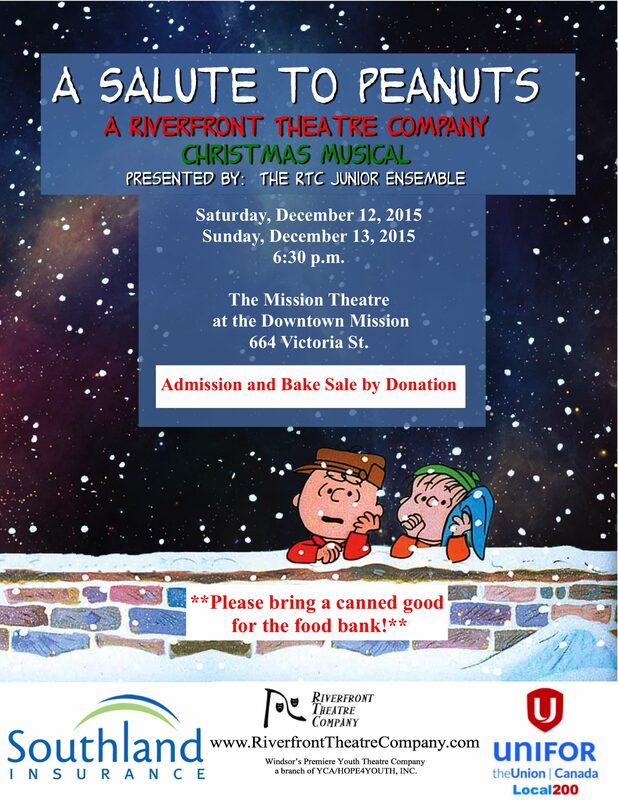 This weekend, A Salute to Peanuts is underway at The Downtown Mission! 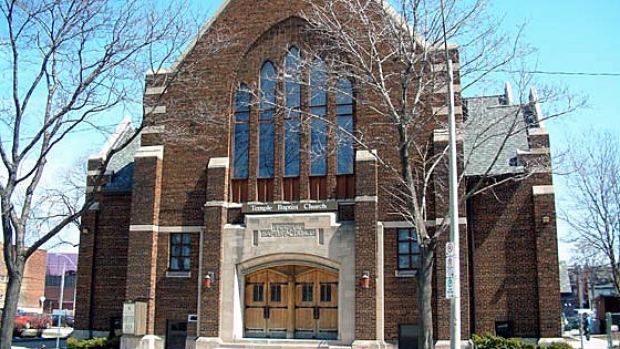 We are super-grateful for the free use of the Mission Theatre for our performance space, and so happy, with the help of our generous audience members, to be part of meeting their needs by filling the Food Bank bin! 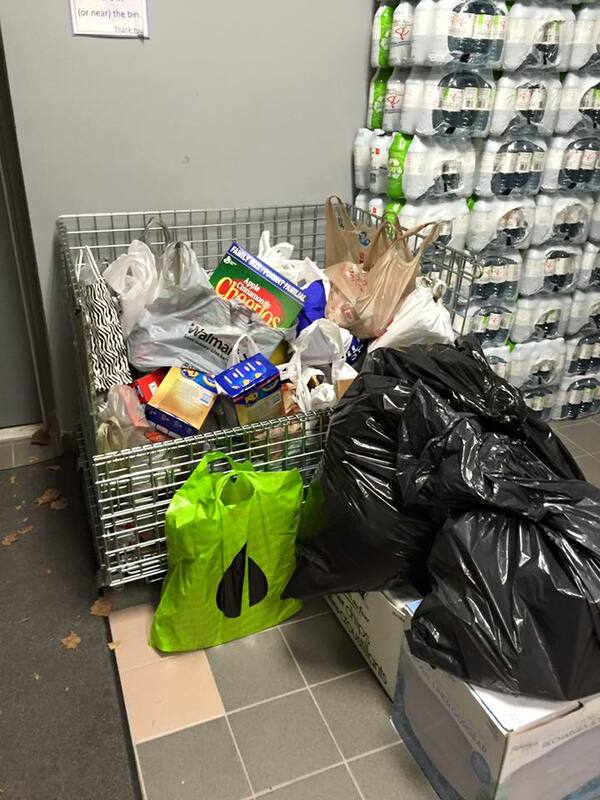 With still about ¼ of the audience left to arrive bearing goods, the bin at the Food Bank was filling up very nicely indeed! Now, we opened last night, but my little family all had assigned jobs, and no one picked up my camera to get any shots. I’m going to work on that tonight with them, I promise, but in the meantime, I have to share dress rehearsal photos. I have invited our RTC family members to share their photos with me and I will happily replace and supplement better photos as they come in! In the meantime, you can get an idea of what we’ve been up to. The kids did a FABULOUS job last night, and best of all, I can honestly say that they PROJECTED and were really doing a terrific job at being heard! They were all super-cute and the play went off without any ACTOR hitches (though our portable spotlight didn’t hold up, and we had a technical glitch with the keyboard, too, overall, we overcame! The show went on!). There is ONE more, and ONLY ONE MORE, opportunity to see the show again, TONIGHT, December 13, at 6:30 p.m. at the Mission. Remember to bring canned goods for the Mission Food bank! Admission is by donation, and so is the yummy bake sale! Great for families of all ages! We at RTC would like to extend thanks to everyone who made this possible! First of all, an enormous round of thanks to Jadelyn Appleby, our Director, and to Emma Whittaker, our Assistant Director. Grade 12 students at Walkerville Collegiate, with tons on their plates already, they dedicated weeks of their time, effort and patience to this production, and we are enormously grateful! To Janis and her helpers, for handling our costumes for this production – bless you! I KNOW that Denise is particularly grateful, as busy as she has been with Pride and Prejudice, to have this production lifted out of her hands. To Meredith, for working on the music so that parts of it could be live – and working with the Juniors where many of them had their first experience with live accompaniment! That was terrific! To our Senior volunteers, who came in at the rehearsals and performances this week, especially on Saturday, after a long rehearsal day of your own, thank you! Thank you also to Andrew Armstrong, WCCA student, who helped out last night! To Keileigh Robinson, for makeup – especially Woodstock and Snoopy (makeup not shown in these photos, but they were adorable at the real performance!). To LAFA, for the loan of Schroeder’s piano and the mailbox. To all our parents for supplying baked goods, and, more importantly, CHILDREN! And to our sponsors, two of whom are new to us this week: Southland Insurance, Unifor Local 200, Brian Dube, Windsor Police Association, Windsor Police Service, Tepperman’s, and Reko Manufacturing! Dress Rehearsal: The Peanuts gang in one of the first songs. Dress Rehearsal: The Peanuts Gang in song. Roan and Isaiah goofing around – but they do it so WELL! Sally, utterly indifferent to Charlie Brown’s Christmas shopping plight. Kelseigh (Sally) at the Christmas Tree Lot. Lex (Linus) in his big speech. Temporary blanket in use for dress rehearsal. Samantha, Ella, Priya, and Kendra (Shermy, Violet, Frieda, and Narrator 4). The gang, about to decorate the little tree! Meredith on piano, with actors in background ready for curtain call! Charlie Brown, Linus and PigPen! Meredith at piano with Melanie assisting. Our fearless directors, Jadelyn and Emma! 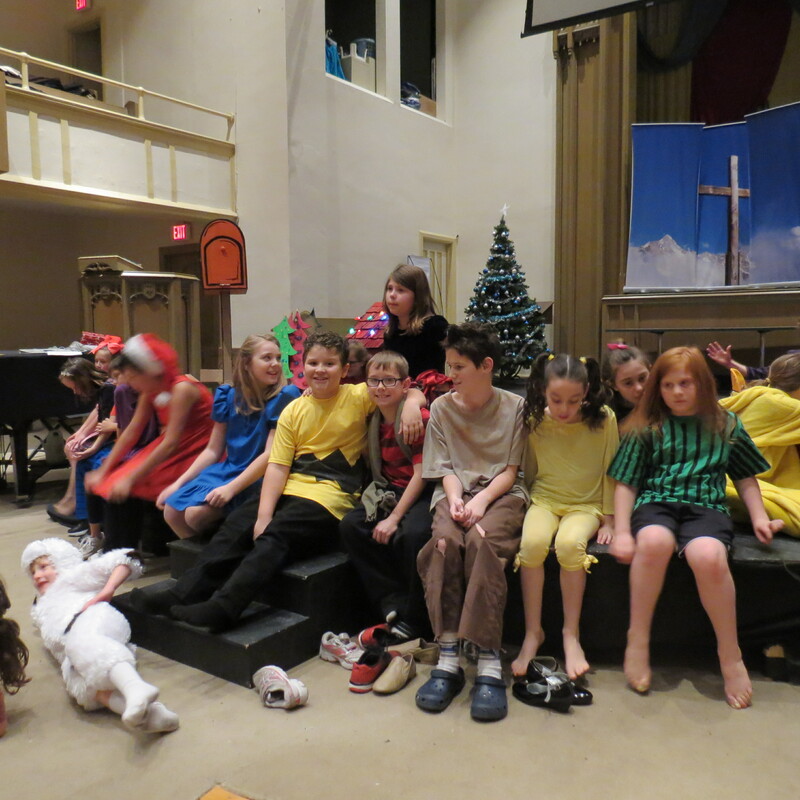 A relieved Gang, flopping down on stage for final notes at the end of dress rehearsal. Previous: Previous post: We’re feeling the love….HONESTLY, we are!